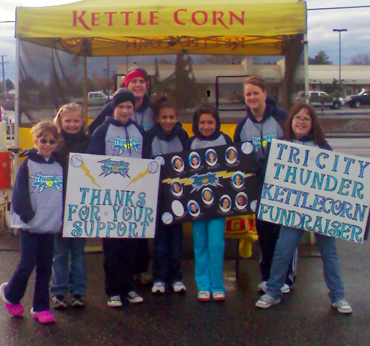 Want your own brand of kettle corn to sell at fundraising events? 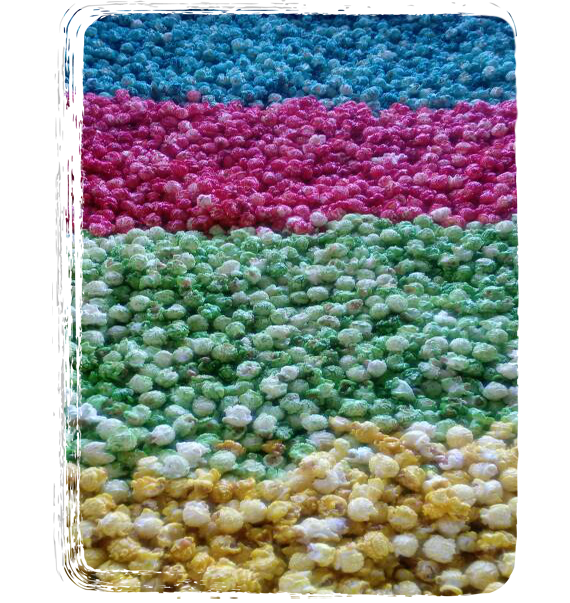 Would you like kettle corn done in school, club or business colors? Contact us! My name is Jeramy Schultz and my wife and I own KC Brand Kettle Corn. 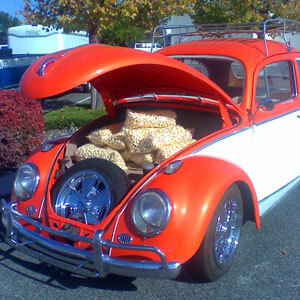 Our little popcorn company has been popping up salty & sweet popcorn snacks since 2004. Based out of Richland, Washington, one of the great Tri-Cities, KC Brand Kettle Corn makes its way through the Pacific Northwest every summer. A perfect combination of salty and sweet. 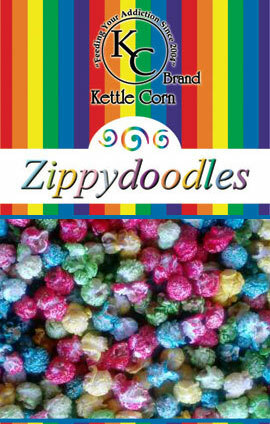 Full kernels of gourmet popcorn, are glazed in the kettle as they pop, then lightly salted for that classic taste. A robust caramel flavor. Cooked in the same style as kettle corn, this sweet treat made to please the palette. 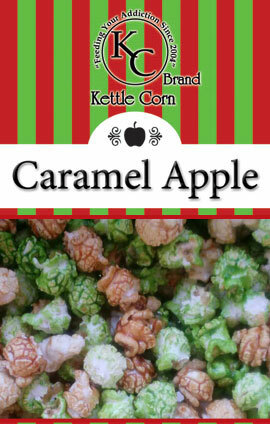 A sweet combination of our robust caramel and the apple flavored Zippydoodles. A favorite for any holiday…or any day. Fruit flavored Zippydoodles. With a flavor that tastes remarkably like fruit flavored cereal, they're almost always a hit with the kids. 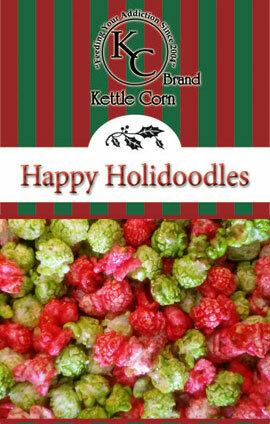 Say Happy Holidays with Holidoodles! 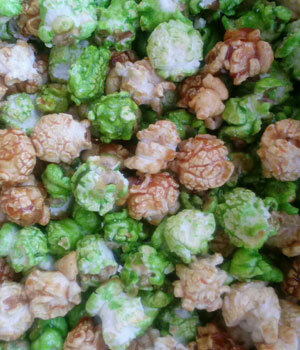 Sweet and spicy cinnamon popcorn, mixed with our flavorful green apple popcorn. This is sure to delight at any party. 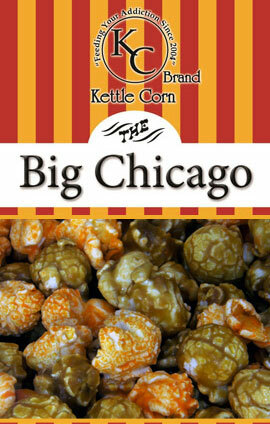 This Chicago mix will make you think you’re in “The Windy City”. 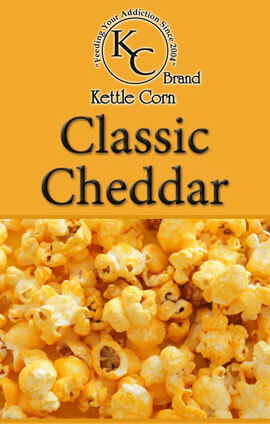 A sweet and savory mix of robust caramel popcorn and smooth cheddar cheese popcorn. Because you shouldn’t have to choose. Our tasty kettle corn products and freshly squeezed lemonade have become favorites at the events we attend and we would love to share them with you and your family. If you would like to contact us, you can always find us on Facebook, there you will be able to contact us and receive our weekly schedule. You can also reach us through this website. We know that old-fashioned kettle corn is something special, which is why we keep our kettle corn machine rolling every day. When you’re looking for something sweet, crunchy, and savory all at once, check out our different kettle corn recipe options. 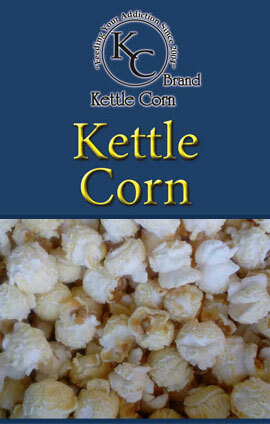 Order some of our kettle corn and decide for yourself why it is called the best. 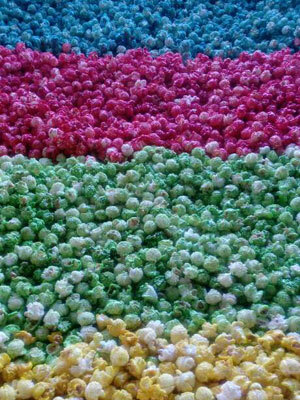 Our processes allow us to make the freshest, tastiest and most affordable old-fashioned kettle corn around. We know you won’t be disappointed! You can find us at an event near you! Come see us and have the best old-fashioned kettle corn you will ever put in your mouth. Let us know if you have any questions about ordering your kettle corn direct. We will ship your order of kettle corn in time to arrive fresh for your next party, event, or just for a movie night in. Old fashioned kettle corn is only good when it’s done right. 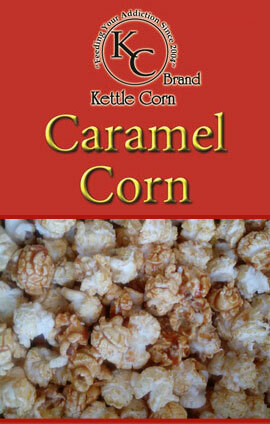 Call KC Brand Kettle Corn at 509-947-3262 for the best kettle corn in the Tri-Cities area. Copyright © 2017 KC Brand Kettle Corn. All Rights Reserved.